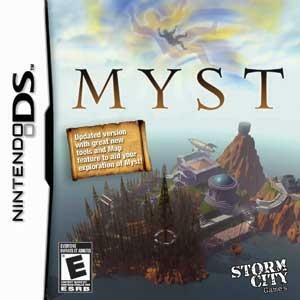 Myst for DS... Combine keen observation and logic to unlock the secrets of Myst. A complete all NEW Age to explore and uncover mysteries on Nintendo DS. Original soundtrack and sound effects that enhance the sense of realism. Newly re-mastered Video, audio and new music for the New Age. New mini-tools - Camera, Magnifying Glass, Notebook and Map.